Reunion Resort is truly a unique lifestyle resort! 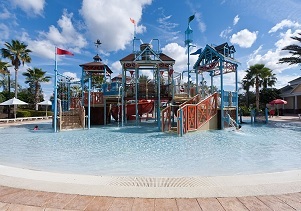 A great place to live, vacation and play, Reunion Resort offers something for the whole family. Go wherever your imagination will take you! Experience resort-style amenities and the best golf Orlando has to offer in this private retreat. Reunion Resort covers 1,300 acres and features two beautiful lakes, Lake Hancock and Lake Speer, and a private boat launch. Not to mention the numerous parks, recreation and conservation areas throughout the community. Amenities were designed specifically with families in mind. Residents can enjoy the multiple sports courts, a clubhouse with a fitness center, a swimming pool, a tot lot for children, and more!